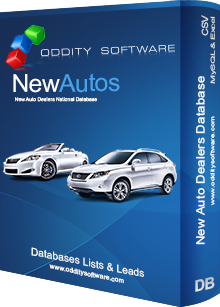 Download our Auto Dealers Pro (New Autos) Database List. This database contains 43,648 records of New Car Dealers locations and New Auto Dealers locations. 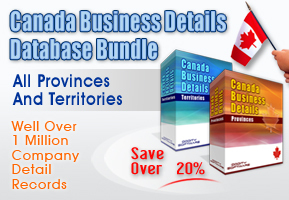 This content database can be downloaded in CSV, MySQL and many other formats. This Database is updated every 120 Days. Master License holders can purchse updates for this database for $8.75. People are constantly searching for the next best vehicle. There are many new vehicles on the market today that have everything you need to save money on gas and keep the environment clean. Using the Auto Dealers Pro (New Autos) Database, you can easily find local auto dealers that sell or lease brand new automobiles. With over 43 Thousand contacts in this download list, you won't have any trouble finding the ideal vehicle for you or your child. The Auto Dealers Pro (New Autos) Database downloads right to your computer's hard drive so you can have access to it at all times. You don't need Internet access, nor do you need to carry around a big book of phone numbers. All of your Auto contacts are only a click away. This specialized database makes sure you have access to only auto dealers that sell or lease brand new vehicles. The Internet is a competitive environment, and it's hard to stay ahead of the pack without sufficient content on your site. If you are looking for a great and simple way to expand your site's visibility and popularity, consider investing in the Auto Dealers Pro (New Autos) Database. People are scouring the Web for these contacts, and it only makes sense to give them access to it. We have collected all of this up-to-date contact information for you, now you just need to make it accessible to your visitors. You can easily add the Auto Dealers Pro (New Autos) Database to your site because we have made it available in a variety of compatible formats for Web designers. People are adamant about finding fuel-efficient vehicles, and there's no easier way than having these hard-to-find new auto dealer contacts. Oddity Software is the leading database provider on the Web, and it's easy to see why. We have millions of updated contacts throughout the site, thousands of which are in the Auto Dealers Pro (New Autos) Database. 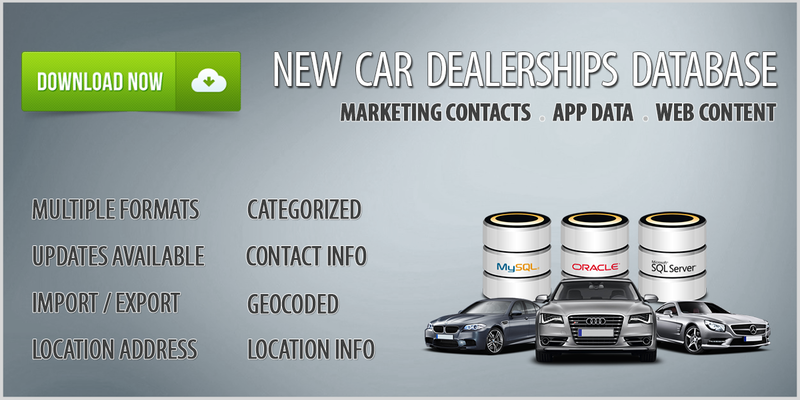 This database is ideal for Web developers and people searching for a new car. Our downloadable databases are easy to search, manage, and update, making your experience trouble-free. The Auto Dealers Pro (New Autos) Database has contacts throughout the U.S. that will get you on your way to finding the best vehicle at the best price. Start calling local auto dealers today, and invest in the Auto Dealers Pro (New Autos) Database! You will be shocked at the simplicity of this deluxe computer database.